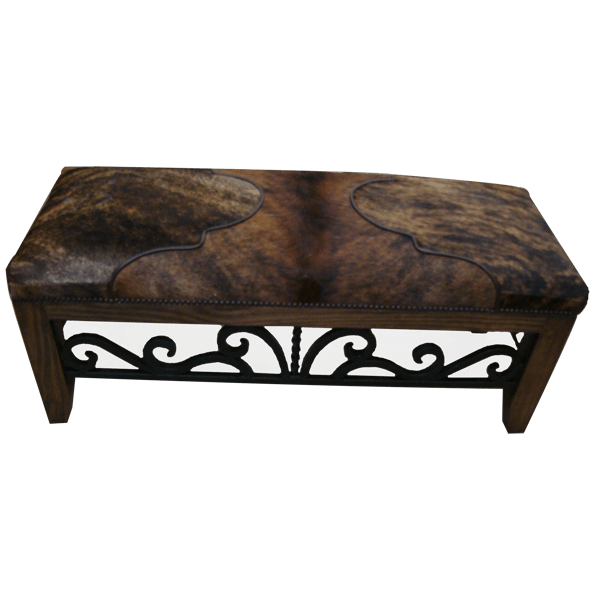 The center of the seat of this handcrafted, Western style bench is upholstered in brown and black, patterned cowhide. The lateral sides of the padded seat are upholstered in a Western cut design with slightly different cowhide. The cowhide is hand tacked to the solid wood frame with decorative, gilt nails, and the junctions of the two different cowhides are painstaking sewn together with a leather cord. The bench is designed without a back, and it is supported by sturdy, solid wood, tapered legs. The legs are connected by curved, hand forged, iron front and side stretchers. 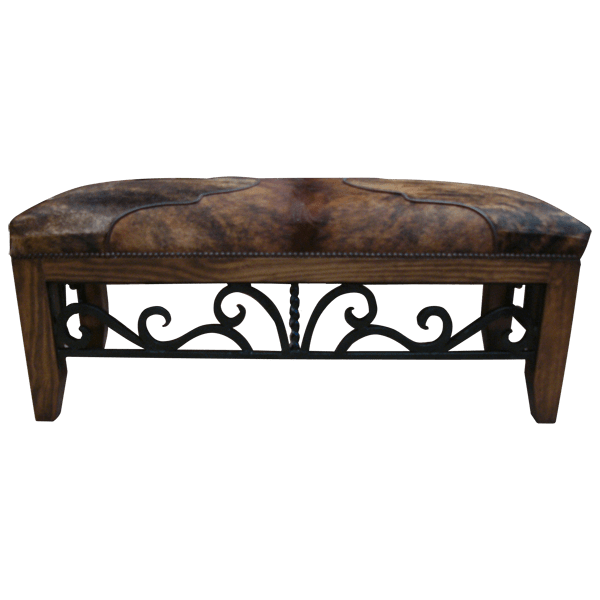 The bench has a classic finish, and it is made with the best, sustainable, solid wood available. It is 100% customizable.